I wouldn't be a good friend or fellow blogger if I didn't share with you my mother's homemade recipe for enchilada sauce. It is fantastic! Once you try this recipe you will not go back to the stuff in the can. We also use t on top of enchoritos. Your children will like this because you control the spice level. In a saucepan whisk together 1/4 cup vegetable oil and 2 Tablespoon flour once these are well-incorporated add 1 8oz can of tomato sauce, 1 Tablespoon chili powder or more if you like it spicy, 1 teaspoon garlic powder, 1 teaspoon onion powder, 1 teaspoon cumin and two cups of broth of your choice. Bring to a simmer and once the sauce has thickened remove from the heat. No, go try this recipe. I promise you will love it! Thanks for the tip! What, exactly, is an enchirito, though? wow that sounds so good right now! I love almost anything with enchilada sauce! but I 2nd the motion of you sharing your enchirito recipe as well! Mmm...yummy! But I'm with Dana, what's an enchirito? It sounds exotic! 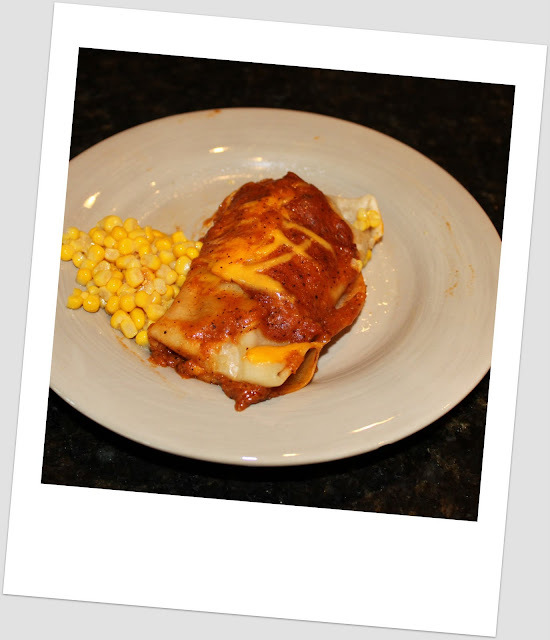 Oh my I love enchiladas I needed this recipe when we were in Germany...I missed Mexican food! Thanks for sharing! Have a wonderful day! yummmm! maybe we will make some enchiladas next semester in cooking class. Thanks for sharing this. Looks great!